The Waveform Explorer portlet allows the users to search and request broadband seismic data from the whole EIDA network, which offers continuous data coming from c.a. 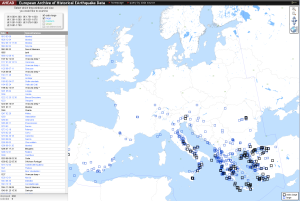 1000 stations, which are stored in several Data Centers In EU. The objective of VERCE is to provide a data-intensive e-science environment enabling transformative methods that can fully exploit the increasing wealth of data generated by observational and monitoring systems, and guarantee optimal operation and design of these high-cost systems. The Seismic Hazard Portal currently provides access to input data and time-independent hazard results produced within the EU-FP7 project "Seismic Hazard Harmonization in Europe". you can ask us to add it permanently into this user interface.